We are the cloud experts and here to help you and your business realize the many benefits in moving the Cloud for your business’ IT needs. Providing IT consulting, desktop and network support services, systems engineering services, integrated message management, anti-spam and anti-virus protection. Let us effectively manage your business’ support requests with our scalable and flexible Help Desk solutions for small and medium sized businesses. L8 Systems Managed IT Services allows our clients to reduce support costs, reduce risk, free internal staff to focus on business strategy, improve IT service delivery. and deliver a more flexible and scalable IT service solution. We focus on your IT, so you can focus on your business! 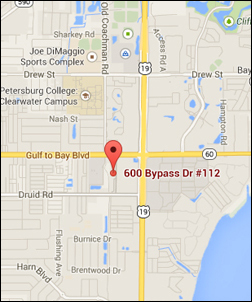 L8 Systems provides professional IT Support for businesses in Tampa, St. Petersburg and Clearwater areas. We strive to give our clients Enterprise-level services and solutions at prices that work for small businesses. Time and experience has helped us develop best practices and workflow procedures around a proactive philosophy designed to keep your focus on your business, not your technology. Not sure where to begin, or even if L8 Systems is a good fit for your organization? Contact us to learn more about how we can help move your business forward. 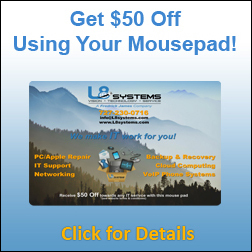 L8 Systems specializes in desktop, laptop, server, and Mac computer repair for businesses and residential clients. We service all brands like Acer, Apple, Asus, Compaq, Dell, eMachines, Fujitsu, Gateway, HP, Lenovo, Sony, Toshiba, etc. We offer virus and malware removal, LCD screen repairs, data recovery, desktop and laptop repairs, hard drive repair and replacement, backup options and networking services. We can custom build an enthusiast gaming or multi-monitor stock trading computer for you. We can also build custom servers with raid arrays or high-end video editing workstations.